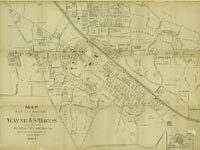 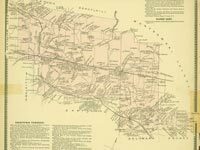 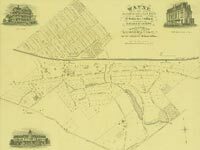 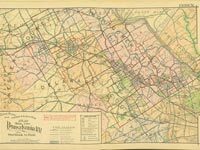 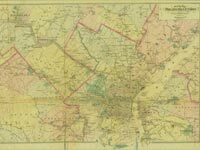 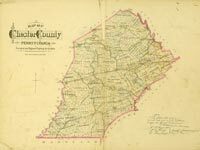 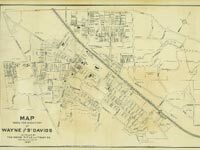 The Radnor Historical Society houses a large collection of historic maps and atlases of our area. 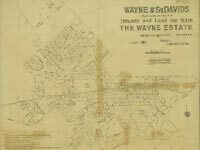 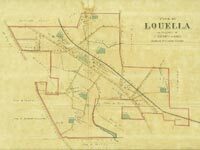 The maps were made for various purposes in the late 19th and early 20th centuries, usually for real estate uses. 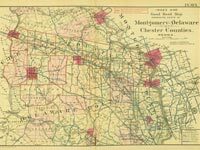 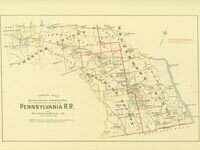 Atlases were made to document properties along the Pennsylvania Railroad, and were beautifully printed and hand-colored. 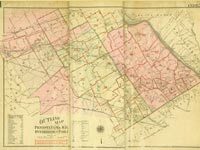 Our thanks to the Athenaeum of Philadelphia’s Greater Philadelphia GeoHistory Network for digitization and hosting. 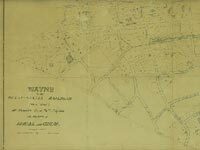 Copies of each map and atlas page are available to purchase via links on each map page. 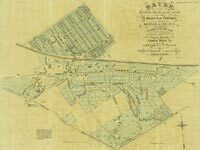 The Property of Francis Fenimore Esq., Radnor Township, Delaware Co., Pa.
Wayne Title and Trust Co. 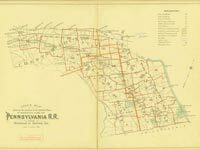 The following external websites contain Main Line atlases from many years ranging from the mid-19th Century up through the 20th Century. 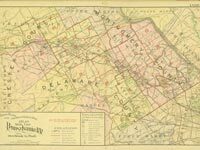 Each atlas covers a large geographic area, the “Main Line” atlases usually containing Overbrook to Malvern. 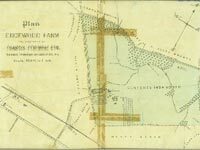 Pages showing parts of Radnor Township are within many of these. 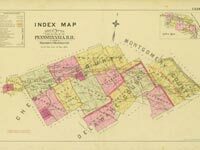 The following websites are not affiliated with the Radnor Historical Society and are listed here for reference only. 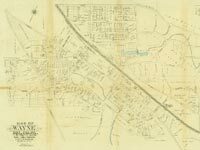 Full black and white scans of many atlases. 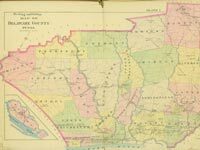 Nicely laid out collection of atlases, many in color, with an easy to use grid viewing system. 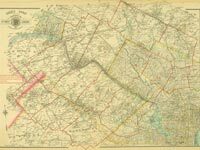 Color scans of many atlases; reproductions of pages out of these atlases are available for sale through this website. 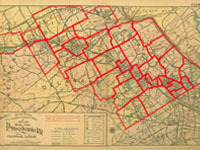 Operated by Franklin Maps of King of Prussia.